Following great unrest amongst doctors and others over the case of Dr Bawa-Garba, Jeremy Hunt has asked Sir Norman Williams to conduct a rapid policy review into issues relating to gross negligence manslaughter in healthcare. 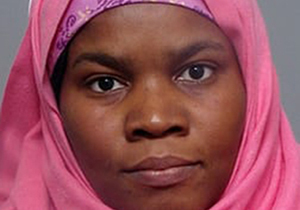 Dr Bawa-Garba was found guilty of gross negligence manslaughter due to her part in the death of Jack Adcock in Leicester Royal Infirmary. The Medical Practitioners Tribunal Service decided not to erase Dr Bawa-Garba from the doctors’ register but the General Medical Council successfully appealed against the decision. The review will look at the overall context of how gross negligence is dealt with by the system and how doctors can be better informed about it. AvMA Chief Executive Peter Walsh has given evidence to the review. AvMA’s main concerns are over the fear that has been created amongst health professionals mostly through inaccurate reporting of this case, and the impact this may have on morale, recruitment and retention. AvMA is also concerned at how the ill-feeling about how doctors are treated is fuelling talk of doctors’ ethical and professional duty of candour being compromised. Details of the review can be found here. It is expected to report in Spring 2018.